Makita DLX6017 18v 3x3.0Ah LXT 6 Piece Cordless Combo Kit. Makita DLX6017 18v 3 x 3.0Ah LXT 6 Piece Cordless Combo Kit. Part of the Makita 18v Lithium-Ion LXT range. Kit Includes: BML185 - 18V LXT Torch. 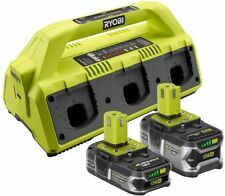 18V 3 x 4.0Ah Makita DLX6075M LXT Cordless 6 Piece Kit. The slide on batteries feature foam cell technology providing shock absorption and preventing overheating during heavy use. DHP453 - 18V Combi Drill. Makita built produces 50% faster grinding with an impressive 10,000 RPM. LXT Carry Bag. 3 x 18V 4.0Ah Li-Ion Batteries. Variable speed trigger. Twin LED job light. Compact overall length of 137mm. More compact design at only 12-1/2" long and weighs only 5.6 lbs. 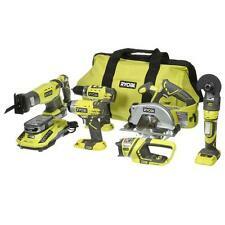 18V 3 x 4.0Ah Makita DLX6075M LXT Cordless 6 Piece Kit. The slide on batteries feature foam cell technology providing shock absorption and preventing overheating during heavy use. Kit Includes: DHP453 - 18V Combi Drill. Variable speed trigger. Twin LED job light. Compact and lightweight design for easy handling. DTD152 Impact Driver. Single sleeve keyless drill chuck for easy bit installation and removal. The large 2 finger variable speed trigger makes this jigsaw easy to operate even with gloves on. 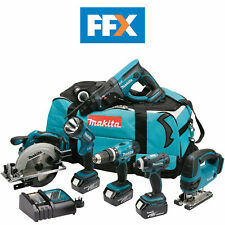 Makita FFX6PCKIT 18V 4.0Ah Li-Ion LXT Cordless 6 Piece Kit - FFX6PCKIT. The Makita FFX6PCKIT 18V 4.0Ah Li-Ion LXT Cordless 6 Piece Kit is a perfect kit for any professional or for a DIY enthusiast who just wants to upgrade their current power tool range. 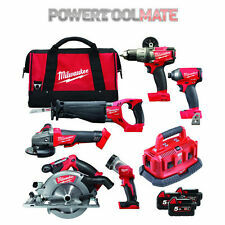 The item you are currently viewing is the Makita DLX6067PT 18V LXT 6 Piece Combo Kit with 3 x 5.0Ah Batteries in Bag. Twin LED job light. Twin LED Job light with pre-glow and afterglow functions. A precision machined aluminium base allows for planing accuracy. DGA452 LXT ANGLE GRINDER. BML185 LXT TORCH. Selection of Six Makita Tools. This 6 piece kit from Makita includes a Combi Drill, Circular Saw, Impact Driver, Reciprocating Saw, Angle Grinder and a flexible torch. Makita DML185 18V LXT Torch. Makita DHP453Z 18V LXT Combi Drill. Makita DJV180Z 18V LXT Jigsaw. Makita DSS611Z 18V LXT Circular Saw 165MM. Makita DTD152Z 18V LXT Impact Driver. Makita DHP453Combi Drill. 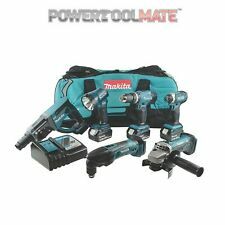 Makita T4T6PCKIT 18V LXT 4.0Ah Li-Ion Cordless 6 Piece Kit. Makita DHP453Z 18V LXT Combi Drill. Makita DTD152Z 18V LXT Impact Driver. Makita DGA452Z 18V LXT Angle Grinder. Makita DTM50Z 18V LXT Multi-Tool. MAKITA DLX6068PT. 18V 6 PIECE COMBO KIT. 3 x 18V 5.0Ah Li-ion Batteries. DSS611 165mm Circular Saw. DGA452Z Angle grinder & DML185 torch. Warranty info. DSS610Z Circ saw & DJR186Z recip saw. 1X Makita 831279-0 LXT 6pc Tool Bag. 1x DHP458Z - 18v LXT Combi Drill. DTD152 - 18v LXT Impact Driver. DJR186 - 18v LXT Reciprocating Saw. DGA452 - 18v LXT Angle Grinder. Kit Contents BML185 - 18V LXT Torch. DHP453Z - 18V LXT Combi drill. DJV180Z - 18V LXT Jigsaw. DSS611Z - 18V LXT Circular saw 165MM. DTD146Z/DTD152 - 18V LXT Impact driver. BL1840 - 18V Li-ion battery (3x). MAKITA 7PCE 18V 5.0AH LI-ION COMBO KIT. MAKITA 18V 7PCE KIT. 18V 7 PIECE COMBO KIT. 3 x 18V 5.0Ah Li-ion Batteries. DHP458Z Combi Drill. 831279-0 Carry Bag. GDR 18v-Li 18v Impact Driver. Built in LED job light. No load speed: 3900rpm. No load speed: 2700spm. No load speed: 10,000rpm. Mitre Cut to 45º. GLI VariLED Work Light. Includes Carry Case. Porter Cable PCCK6116 20V Max - 6 Tool Cordless Combo Kit NEW!